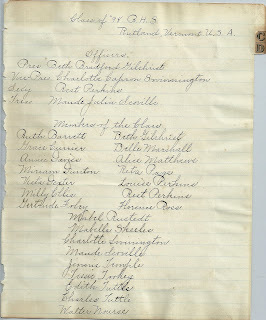 Handwritten list of Class Officers and Members of the Class of 1898 at Rutland High School, Rutland, Vermont. 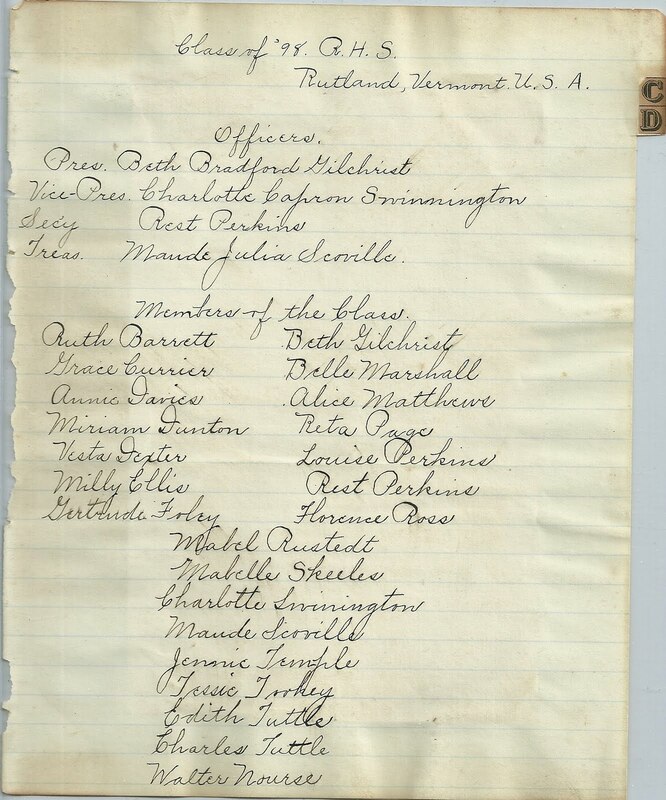 This was found with a couple of printed programs for Prize Speaking Contests at Rutland for June 16, 1897 and June 3, 1898, complete with handwritten notations as to the winners. I'll be blogging about those separately later. Hopefully this memento will have some meaning for you - thanks for stopping by!